An aerial view of the house where federal agents arrested a Tappan man accused of planning to blow himself up on Election Day. Several federal, state and local police agencies searched the home, shown here in February 2013, of Paul Rosenfeld, 56, of Tappan, New York, after he told federal officials that he had bought explosive black powder over the Internet and made a bomb. 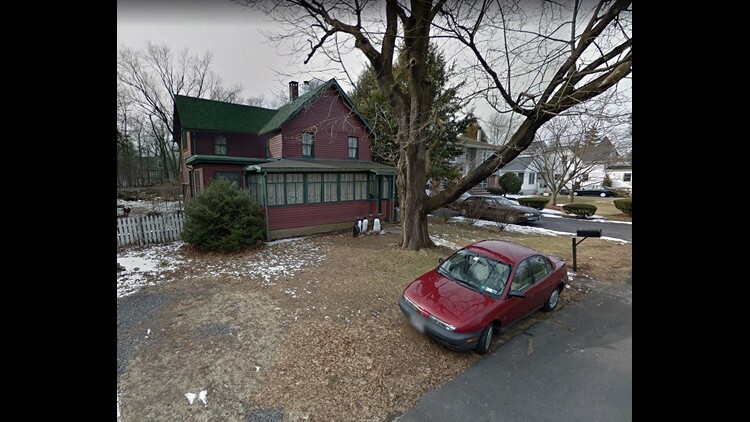 TAPPAN, N.Y. – A man who lives less than a mile from the New York-New Jersey border was arrested Wednesday and accused of planning to blow himself up on Election Day on the National Mall in the nation's capital, federal authorities said. Paul Rosenfeld, 56, of Tappan was charged with one count of unlawfully manufacturing a destructive device after a 200-pound bomb was found in his home's basement, authorities said. If found guilty, he could spend 10 years in prison. "Rosenfeld concocted a twisted plan to draw attention to his political ideology by killing himself on the National Mall in Washington, D.C. – risking harm to many others in the process," U.S. Attorney Geoffrey Berman said in a statement. "Rosenfeld’s alleged plan for an Election Day detonation cut against our democratic principles." In August and September, Rosenfeld sent letters and text messages to a person in Pennsylvania stating that he planned to build an explosive device and detonate it Nov. 6 to draw attention to his political belief in “sortition,” a political theory that advocates the random selection of government officials, according to prosecutors. During an interview with federal agents Tuesday, Rosenfeld told them he ordered large quantities of black powder, an explosive substance, over the internet, which he then transported from New Jersey to his New York home. Rosenfeld also was charged with one count of interstate transportation and receipt of an explosive, which carries another maximum sentence of 10 years in prison. Rosenfeld said he used about 8 pounds of black powder to construct a large bomb in the basement of his home and installed certain components to ensure he would be killed in the blast. He told agents that he previously had built smaller bombs and conducted test detonations. A search of his home Tuesday found what appeared to be a bomb weighing about 200 pounds. FBI bomb technicians removed the device from the basement and took it to a safe location. Agents also found a fusing system for triggering explosive devices and what appeared to be empty canisters of black powder. Rosenfeld appeared Wednesday afternoon before U.S. Magistrate Judge Paul E. Davison at U.S. District Court in White Plains, New York. This prosecution is being handled by the Office’s Terrorism and International Narcotics Unit. Assistant U.S. Attorney Michael Krouse is in charge of the prosecution. The potential to cause great death and destruction was very real, said Thomas Zugibe, Rockland County district attorney. "Cooperation among local, state and federal law enforcement once again helped to thwart a sinister plot to kill innocent Americans," Zugibe said. "This latest case reminds us that we must remain vigilant every day against those who wish to target our way of life." In Rosenfeld's sleepy, two-block neighborhood, the operation Wednesday afternoon drew swarms of police cars, most unmarked. An Orangetown police cruiser was posted at the only entrance to the street, its flashing lights causing busy traffic on the flag-lined adjoining road to slow to a crawl.